It’s been a week since the 7th annual TCM Classic Film Festival ended, and we are finally able to recuperate from four days of movie-marathon-madness™. The TCM Classic Film Festival, or “TCMFF” for us regulars, is like one giant movie nerd convention. It’s not uncommon to spot vintage frocks on very modern ladies, overhear lively debates over which actress was the ultimate HBIC (Duh, it’s Stanny, hands down. ), and hundreds of people clamoring to see an obscure movie starring Roland Young, a.k.a. the poor man’s Ronald Colman. In other words, TCMFF is heaven for a very weird and wonderful group of classic movie fans, of which we here at the Retro Set consider ourselves proud members. Our very own Jill Blake was on assignment for this year’s festival (her fifth TCMFF), an event situated in a sunny, historic haven located amongst the putrid carnival setting of Hollywood Boulevard. Each year the team behind the annual TCM Classic Film Festival sets the tone of the event with a theme, with this year’s being the clever play-on-words: “Moving Pictures.” From dysfunctional family melodramas to heartwarming underdog stories, these carefully curated films challenged the festival’s audiences to communally experience a varied range of emotions by becoming completely immersed into beautiful celluloid worlds. 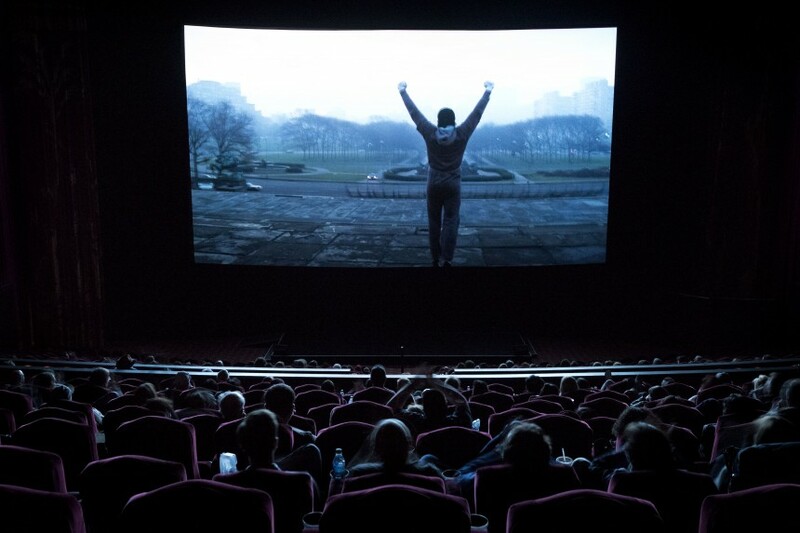 Although there was much skepticism on this year’s festival theme (as there is every year, for some reason), everything fell nicely into place; it was clear to see the overall vision created by the brilliant team of TCM festival directors and programmers. This year, the slate of films offered were a mixture of familiar favorites, obscure pre-codes, silent masterpieces, and campy cult oddities. After much deliberation and conversation with my festival date, the two of us selected a well-rounded mix of familiar favorites never seen before on the big screen, and new-to-us discoveries. Although we had some minor changes to our schedules due to long lines and waning staminas (no midnight screenings for us this year. Too damn old, I guess), our festival experience was an excellent one…and possibly filled with the most variety than any other year attended. This being my fifth year at TCMFF, the entire experience felt fairly routine, which actually allowed for a more relaxing, carefree festival. There also appeared to be significant improvements to the universally dreaded “queue card” system, especially at the Chinese Multiplex where a notoriously hot-tempered, critical, cluster-jam of a crowd can always be found complaining about something. These improvements, along with four previous years of experience, allowed myself and my fest partner to leisurely take in as many screenings as we wanted each day. We gladly skipped the midnights and actually took the time to eat something other than a chewy day-old hot dog and almond Pocky. A first, really. We also did something we thought we’d never do: skip the opening night festivities. This year TCM hosted an “Early Bird Meet-up” which, in some ways, was just as good as the mixer for non-Spotlight pass holders on opening night. Less crowded, more casual, and plenty of opportunities to actually take the time to speak with those special friends I only see once a year. This event, coupled with the prospect of a very crowded multiplex for those non-Spotlight attendees, was enough to convince me to stay home and drink prosecco, watch Return to Oz, and Troll 2. Because priorities. 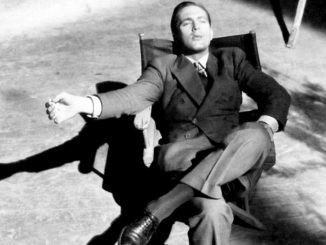 The following is a detailed overview of our top highlights from this year’s TCM Classic Film Festival. John Garfield’s final film, He Ran All the Way (1951) on 35mm, featuring and interview with director John Berry’s son, Dennis Berry. Mr. Berry discussed the horrors of the HUAC hearings and how the Hollywood blacklist affected his father, John Berry, writers Dalton Trumbo and Hugo Butler, and actor John Garfield. Surprise appearance by fan favorite, the incomparable Norman Lloyd, who briefly appears in the film. “Man’s Best Friend: Dogs in Film” presentation at Club TCM hosted by Randy Haberkamp. Montages and clips of dogs in film from all of movie history were shown, along with piano accompaniment by composer Michael Mortilla. Three canine stars were in attendance: Clyde the American lab (known for his role in Marley and Me); Brigitte the French Bulldog (Stella in the television show Modern Family); and everyone’s favorite hero, Lassie, a tenth generation direct descendent of the original pup. “Sold-out” audience at the TCL Chinese Theatre (formerly known as Grauman’s Chinese) to see John Frankenheimer’s disturbing and prescient political thriller The Manchurian Candidate (1962) on DCP. 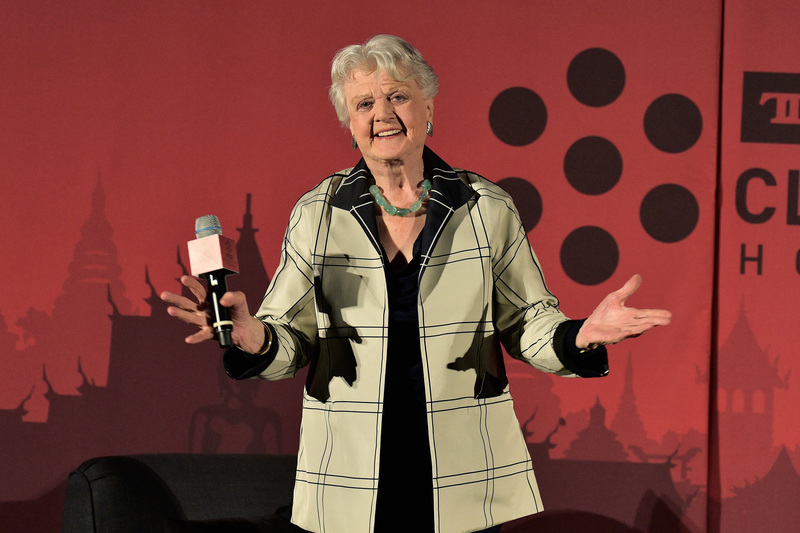 The luminous and ageless Angela Lansbury was interviewed prior to the screening by TCMFF and TCM network regular, Alec Baldwin. Despite her preference for live theatre and terrible conditions within the constraints of the studio system, (specifically under the tight grip of MGM head Louis B. Mayer. ), Ms. Lansbury spoke highly of her experience working with Frankenheimer and fellow stars Frank Sinatra, Laurence Harvey, and Janet Leigh. Also, when asked about Robert Osborne presenting her with the honorary Oscar, Ms. Lansbury fought back tears as she said it was one of the greatest moments of her life. 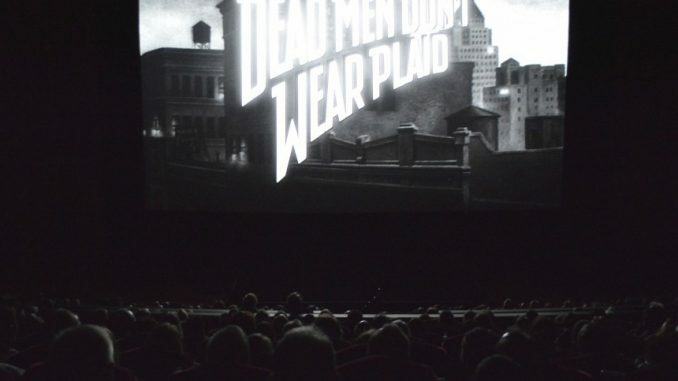 Gorgeous DCP of the hilarious film noir spoof Dead Men Don’t Wear Plaid (1982), at a capacity Chinese Theatre. 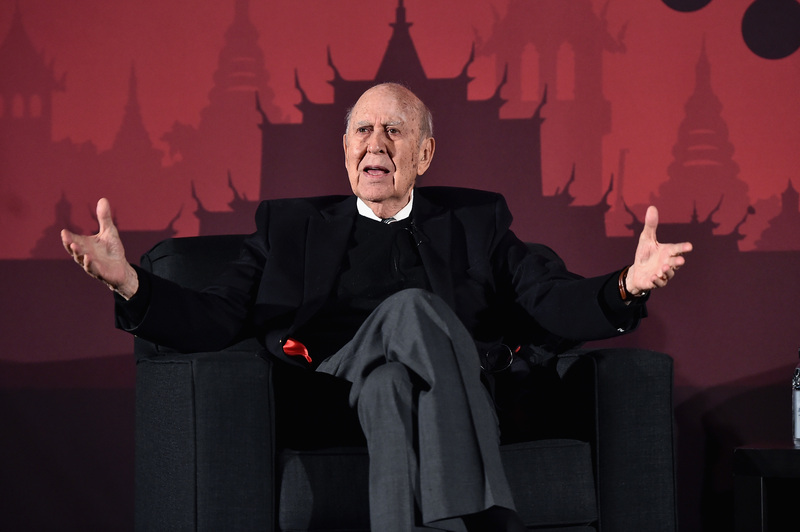 Immediately following the screening, TCM/TCMFF regular Illeana Douglas interviewed the film’s director, Carl Reiner. This lengthy interview was not only a favorite of ours, but of many of the festival’s attendees. Everyone in the audience understood how special this event was. Academy Conversations: The War of the Worlds (1953) with visual-effects artist Craig Barron and sound designer Ben Burtt, with special appearance by Ann Robinson. Each year, the Barron and Burtt presentations are always a favorite amongst a select group of festival goers. In the past, these presentations have been in the Egyptian Theatre. This year, Barron and Burtt held their entertaining master class in the largest house in the Chinese Multiplex. Although the ambience of the Egyptian was sorely missed, this intimate venue was perfect for this particular event. Poolside screening of Forbidden Planet (1956), a perfect double-bill with the previous screening of The War of the Worlds. Introduced by funnyman and podcast host extraordinaire, Greg Proops, and a surprise appearance by Robbie the Robot (the actual Robbie the Robot, folks), this casual event was not only fun, but provided much needed downtime, food, and wine. Stunning digital print of everyone’s favorite underdog story, Rocky (1976), starring Sylvester Stallone and Talia Shire. The Hollywood Reporter’s Scott Feinberg interviewed actress Talia Shire prior to the screening. Ms. Shire spoke proudly of the film and all they were able to accomplish on such an extremely small budget. 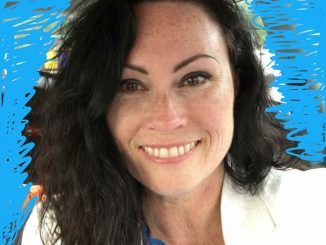 She discussed all of the hiccups due to financial constraints, including the famous “ice skating scene.” Ms. Shire explained that this key moment was originally scripted to take place outside, but had to be moved indoors to stay within budget. Despite the relatively small crowd at the Chinese (Yo! Where was everyone?! ), this was a really fun screening. The rare, early pre-code A House Divided (1931), by director William Wyler and starring the incredible Walter Huston. This 35mm screening was an encore presentation and was highly recommended by our friend Danny at pre-code.com. Eddie Muller introduced the film along with Wyler’s son, David. Both Muller and Wyler’s discussed some of the director’s artistic choices, which would later evolve to become part of Wyler’s signature style. A House Divided was the greatest discovery of this year’s festival. Director Sidney Lumet and screenwriter Paddy Chayefsky’s cynical masterpiece Network (1976), on 35mm at the Egyptian Theatre. 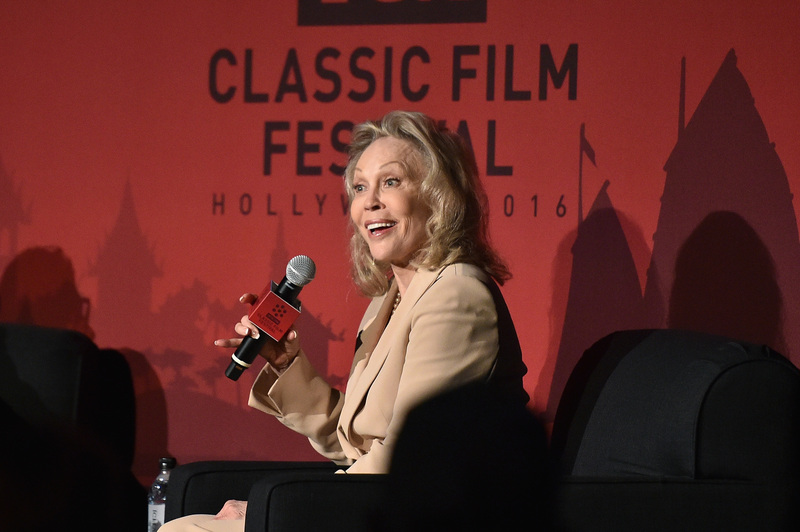 TCM host Ben Mankiewicz interviewed Faye Dunaway (fresh off their hour-long taped interview, which will air on TCM sometime next year. ), who won the Best Actress Academy Award for her portrayal of cutthroat TV network exec Diana Christensen. With an audience poised to expect something quite dramatic from the notoriously obstinate Ms. Dunaway, everyone was quite surprised (or perhaps disappointed) that her interview with Mankiewicz was without incident. Mankiewicz praised her work in such seminal films as Bonnie and Clyde (1967), The Thomas Crown Affair (1968), Chinatown (1974), and Three Days of the Condor (1975). Ms. Dunaway confessed that she recently watched Chinatown in preparation for her current role in the television show Hand of God. Mankiewicz joked “I want to see that show, the one where we see Faye Dunaway watching Chinatown.” Let’s get this television show made! Stay tuned for more from the 2016 TCM Classic Film Festival, including a rundown of two new exciting offerings from the TCM team: Filmstruck and TCM Backlot.